This week on Century of Lies we speak with Arnold Diehl from Floridians For Freedom about their marijuana legalization initiative; with Bryan Krumm, NP, about medicinal cannabis and PTSD; and with Rick Doblin, PhD, executive director and founder of MAPS, about psychedelics, medical cannabis, and drug policy reform. The UK's House of Commons discusses medical cannabis, plus we hear from the Reverend Larry W. Foy with the Interfaith Movement for Human Integrity and Rafi Toruella with Intercambios Puerto Rico. This week on Century we talk about about overdose, harm reduction, pain policies, and opioids with Abraham Gutman, opinion writer at the Philadelphia Inquirer. 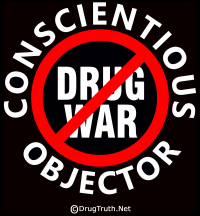 This week on Century of Lies: a Congressional committee takes a critical look at White House drug policy. We'll hear from Rep. Elijah Cummings (D-MD), chair of the House Oversight and Reform Committee, as well as Rep. Alexandria Ocasio-Cortez (D-NY). Plus, there was a debate recently on Irish national drug policy in that nation's parliament. We'll hear from two members of the Dáil Éireann, Mick Wallace and Gino Kenny. 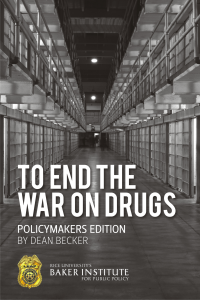 This week we continue our look at the upcoming annual meeting of the UN's Commission on Narcotic Drugs and hear from representatives of civil society organizations discussing the global war on drugs and the need for reform. On today's program we hear from Zara Snapp with Acción Técnica Social in Colombia, Rodenie A. Olete with Sustained Health Initiatives of the Philippines, and the Permanent Representative of Mexico to the United Nations in New York, His Excellency Juan Ramón de la Fuente Ramírez. This week: US Senators look at pain management, opioid policies, and the search for alternatives like cannabis.